The Healthy Choice! PURE Belgian dark chocolate is LACTOSE FREE: always select a dark chocolate assortment as the healthy alternative to chocolate truffles. 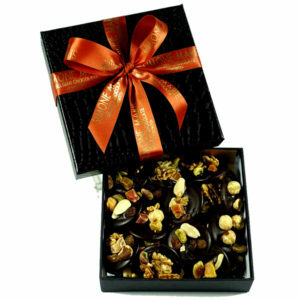 Our all natural Belgian chocolate flowers (in dark 70% cocoa , milk and white chocolate) and our “mendiants” (small pure DARK chocolate plates topped with assorted nuts) make great business gifts, beautiful birthday presents, hostess and “Thank You” gifts. 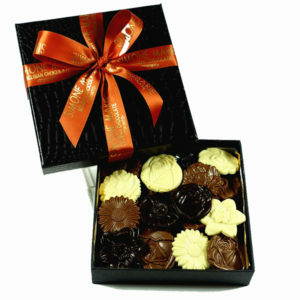 The chocolate flowers are also highly appreciated as party favours. View cart “Mendiants Gold Gift Box (450g)” has been added to your cart.